You will learn all about basic variables, if clauses, functions, loops, and other core concepts; then structures, classes, and inheritance will be discussed. Next, you'll dive into developing a weather app that consumes data from the internet and presents information to the user. The final project is more complex, involving creating an Instagram like app that integrates different external libraries. The app also uses CocoaPods as its package dependency manager, to give you a cutting-edge tool to add to your skillset. By the end of the book, you will have learned how to model real-world apps in Swift. This book is for beginners who are new to Swift or may have some preliminary knowledge of Objective-C. 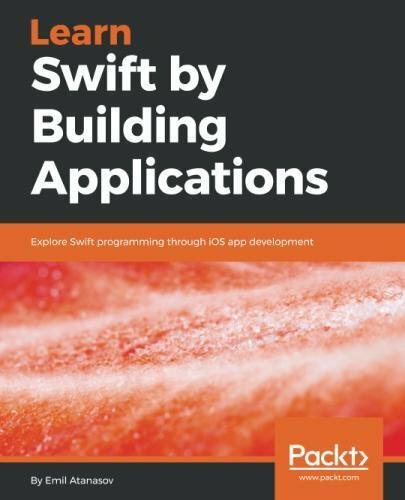 If you are interested in learning and mastering Swift in Apple's ecosystem, namely mobile development, then this book is for you.